Gene Bailey brings distinguished academic, military, and professional experience to Hendrickson & Long, PLLC, along with strong national recognition as a top-notch attorney. Gene received his Bachelor of Science in Engineering from the United States Military Academy at West Point, New York and his law degree from the West Virginia University College of Law. During law school, Gene served as a senior articles editor of the West Virginia University Law Review; he was also a staff member of the Journal of College and University Law. Gene is an honor graduate of the United States Air Force Judge Advocate General School. He served 26 years in both the United States Army and the West Virginia Air National Guard, last holding the position of State Judge Advocate. In his legal practice at H&L, Gene focuses on construction law and construction law litigation, including fidelity and surety issues, health and safety matters, and construction defect and delay claims. His practice areas also include labor and employment law, business and commercial law, general civil litigation, personal injury and wrongful death, product liability, and toxic tort and chemical exposure. Gene is also a seasoned arbitrator and mediator. Gene is active in many national legal organizations, such as the American Bar Association, where he is a member of the Forum on Construction Law, the Tort Trial and Insurance Practice Section, the Labor and Employment Law Section, and the Fidelity and Surety Law Committee. He is also a member of Defense Research Institute (DRI), a national organization of civil defense attorneys. He is a member of DRI’s Construction Law and Employment and Labor Law Committees. Gene stays involved in West Virginia’s legal community as well. He is the chairperson of the West Virginia State Bar’s Committee on Veterans and Military Affairs and a former member of the organization’s Board of Governors. Gene is also a member of Defense Trial Counsel of West Virginia, a state organization of civil defense attorneys. In fact, Gene is a member of DTCWV’s Construction Law Committee. Gene also connects with the construction community as a liaison member of the American Institute of Architects Document Committee and as a member of the Contractors Association of West Virginia. 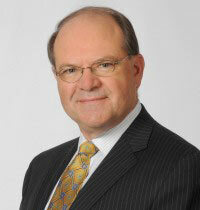 Gene has received many recognitions as a leading construction attorney in WV. Since 2013, Gene has been recognized by Best Lawyers in America© in the field of Construction Law Litigation, and, since 2014, Super Lawyers® has named Gene a Top Rated Construction Litigation Attorney in Charleston, WV. Gene was a charter fellow of the Construction Lawyers Society of America and holds a Martindale-Hubbell® AV Preeminent rating for the highest level of professional excellence. Off the job, Gene contributes as an active community member. He serves as a board member for the West Virginia Symphony Orchestra and is a member of the West Point Society of West Virginia.